The movie focuses on a young orphaned girl who dreams to perform in Paris Opera. However, she lacks the training in ballet which makes it difficult for her to achieve. She attends ballet classes to try and reach her goals. But of course, there will be challenges along the way, especially in the beginning when she does not know how to dance ballet yet. Sure enough, Ballerina will be a lovely film for the family with lessons that kids could learn from. Everyone will learn not to give up on their dreams and to be passionate about what they love. Elle Fanning lending her voice to the main character, Felice. Her look with her copper colored braid and adorable turned-up nose, orphan Félicie is a cunning vixen who can sniff the promise of Paris even from far off Brittany. She looks like a twig draped in rags, but she’ll swirl her patched skirt and kick her clodhopper heels at the first drop of a treble clef. She is skinny as a spindle, and on the road to glory. Her almond-green eyes glimmer with longing for elsewhere. Cheeky, she defies authority at the orphanage. Reckless, she mocks the Statue of Liberty. Clever, she double-crosses bratty Camille and steals her identity. But starry mirages can be dangerous: the chickadee will have to hold on for dear life until she emerges as a swan. Her dream whenever three little notes of music tinkle from her ballerina music box, Félicie’s heart trips the light fantastic. 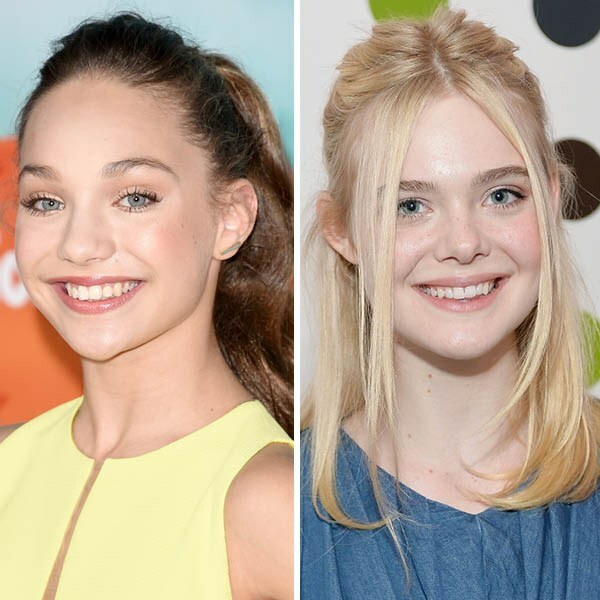 Maddie Ziegler, on the other hand, will lend her voice for the first time to Camille. Paris Hilton had an ancestor, Camille Le Haut: a hoity-toity blonde, with a wasp waist sculpted to let her shine, and a pink headband that scrunches her neurons. Spoiled by Régine’s fortune, she is her miniature version: squeezed into the same greenish dress as her mother, she reeks of self-satisfaction and never sweats, bourgeoisie oblige. A snotty pout is her lethal weapon of disdain. It’s Félicie who bears the brunt: Camille doesn’t hobnob with Orphan Annies, she mortifies them. A whizz kid raised by Mama, she swears by technique and is a stranger to passion. Smiles are optional. She is the snob you love to hate! Also starring Dane DeHaan who will give life to Victor and Carly Rae Jepsen who voices Odette. “BALLERINA” is released and distributed by CAPTIVE CINEMA.